It started shortly after I started openly saying that I thought that the house my parents and I live in is haunted. It's just this eerie feeling I got while we had a temporary bedroom built in our garage, which served as my bedroom throughout high school. At night, when I was getting ready for bed, there was just one particular corner of the room that seriously creeped me out. When the lights went out, the corner would just stay darker than the rest of the room; it always looked like a black silhouette was standing there. To top things off, each night, another black shadow would walk into my room and stand next to my bed. On nights when I slept with my head pointed towards the door, I'd have trouble sleeping and nightmares, so I learned really quickly to sleep with my head pointed the other way. Trouble was, this meant that my head was pointed towards the corner, and it really, really bothered me that I couldn't keep an eye on this corner without turning my back on the door. Eventually, I finally had to tell people. So on two separate occasions, I told my two best friends about "the ghost who stays in the corner." Each of them reacted to it the same, with only minor differences. The more reclusive of the two girls gave it a tut and a chuckle, along with a little "ooo" for spooky effect, and she ended up with a stomach bug before the night was through. The more extroverted openly laughed and poked fun at the ghost and called him (I've always assumed both were male) a peeping tom, and she ended up with a sort of rash of small bumps on various parts of her body, sort of like chickenpox. Both times, the girl in question was better by the next morning. Still, the fact that something happened BOTH times that the ghost or spirit in the corner of the room was mocked seemed more than coincidental. Not long after the second time it happened, I started talking to the ghost when I was by myself. I never heard anything back or that sort of thing, but somehow thinking that there was someone listening to my rambling made me want to do that very thing. As I kept talking to the ghost (I called him "The Room Ghost" for obvious reasons), I began to notice that, at night, the dark shape in that corner would move at night. Before long, it would move to my bed shortly before the ghost that usually entered my room arrived, and it would move toward the intruder and chase it off. At first, I was fine with this. I felt safe in my own room for the first time in a long, long while. However, when I went to learn more about the house we live in, I found out that the only residents who had lived in the house before my parents were the woman who sold us the house and her father before that, and he was the one who built the house. Now I don't know what's tagging along with me all the time, since I don't own anything that once belonged to a deceased relative or anything like that. The entity still acts like a guardian, although in my mind's eye he never comes across as being a purely good or purely evil thing, which I figure means he's not necessarily a demon, as that would be my next guess. If anyone can shed some light on the matter for me, I'd really appreciate it. Usually I'm super-savvy in this arena, since I seem to have a good standing with the spirit world, but I'm genuinely stumped. He doesn't try to do me harm, and he doesn't act like an incubus or anything like that. The following comments are submitted by users of this site and are not official positions by yourghoststories.com. Please read our guidelines and the previous posts before posting. The author, kuroneko52, has the following expectation about your feedback: I will participate in the discussion and I need help with what I have experienced. Your perception of this figure being a Guardian may be just what he (it) is. We must remember not to judge a book by it's cover... And that holds more true for this 'field of study' than most ever imagine. There is a line from The Fellowship of the Ring that I think applies nicely... "I think a servant of the Enemy would look fairer and feel fouler." I think that is a point well taken. Go with you gut feeling concerning this 'spirit / entities' intentions or purpose with you. We may never know just where 'he' came from or why he appears in this form... Please be safe and thank you for sharing this experience with us. Wow, thanks for your input, everyone, and sorry it took me so long to get back to you. LovePower, I appreciate your tactics, but it's something that I've already tried; my own spirituality thrives on the meditation of love and imbuing the home with it as a safeguard. Thank you for your response just the same, though! Steffi, you seem to be thinking the same way I was thinking about it, too, but like I said - I'm wary about the underhanded tactics the malicious energies of the world, since I've witnessed what happens when evil passes itself off as good initially. JBarum, since you asked, yeah, I was a little stressed out at the time. And Rook, it did like to appear just a little ways away from where the room's heater was, but it appeared a couple of years after the room was built, and continued appearing after the room was taken down, though not as clearly, I'll concede. I feel him around more often instead; just after watching late-night horror movies or confronting deep stress, it's like this warm streak trails up my spine and reaches out to the muscles nearest so they'll relax. When I do see him, it's along where one of my walls meets the ceiling, across the room from the window. I know it's him because the shadow still manages to keep its form even in the summer, and as I live in Alaska, the sun doesn't set all the way in the summer. His "form" just sort of ghosts in this season, casting a fuzzy shadow where nothing is obstructing the light source except the curtain, which is light. The EMF in my current room is actually much lower than the rest of my house, and I keep it that way because of my condition: A combination of physical depression and spiritual psychic awareness. I know electromagnetic fields hassle sleep and psychic muscles, which is all-around unhealthy, so the sole outlet in my room that I use is always turned off at night, and the home's breakerbox is all the way across my house, next to my parents' room. Any handheld electronics (games, laptop, phone) are unplugged at night. Also, anyone who stayed in the old room with me has never had any sort of nausea of breakout, or anything else like that, except for the two instances already stated. Another thing that I feel I should note, is that my dreams have become more lucid along with my attempts at astral projection. I'm able to sort of "see" my tagalong companion during these meditations; he's made of dingy, black smoke, with the "spectral tail" you might see on cartoon ghosts in lieu of legs, with claws, spine-like wings (think of a bat's wing, without the membrane), and wispy smoke for hair. He's not scrawny, and he only ever "shows off" his more dangerous-looking features when I'm really agitated about something throughout the meditation's journey. I can't help but wonder if he only looks as demonic-looking as he is because it's something that I personally attribute to protection more than true demons... I have a high threshold of what really scares me, and this form doesn't really begin to scratch it like I imagine it might for others. However, while this only confirms that he's not a demon to my mind, it still doesn't answer my question of what on earth he is. Can we get back to 'basics' before we go looking up books from the '1600's' Or trusting to the 'All Mighty' Wikipeida...let's get back to basics. I find it interesting that the activity started with a re-model. Did this re-model include the electrical wiring for the room? Was the corner that felt / looked darker near the 'breaker box' for the home? The Flip side to High EMF's is if a Spirit or Entity is present they may use the 'energy' provided from this 'source' to help it 'manifest'...this could be by moving objects... A disembodied voice... Or by 'appearing' as a 'human form'. So the first thing to determine (I feel) would be to see if such a 'field' exists in this room. Do you keep a Journal? If not it's a good place to start and after awhile you can look back over the 'experiences' collected and look for commonalities... This will help narrow down and determine what may be happening. No worries, most of what I know is from my experience and the experience of others and I am not shy about my sources or what truth I've learned. My only concern is for anyone feeling freighted and tormented from their encounters. I also worry for those who are curious enough to play around with these things. I will detail my own stories soon. A love strategy means you meet all entities, people, animals, and insects just like you'd want to be treated, give them everything they need to sustain themselves, give them space, and let their actions speak for themselves like you would any person. That's me though. It is very important that people stop harming other life forms and the world around us. As we are under the watchful eye of others! The problem is not what to do if shadow people are around. The problem is how you get them to leave when you are being driven crazy. Personally, I don't entertain any of their advances, because I know they will try to get me to interact with them. And the more that happens, the stronger it connects, the more it connects with me the more involved it becomes in my life. Before you know it, I'm seeing their thoughts, and what they want me to do, and that just adds to much stress for me. I've met some that I was really happy to meet at the time and it all seemed good but in the end it was not a fruitful encounter. One time they give me a gift of sorts, and used it. It was a cool gift that caused lots of problems. Anyway, I have no fears for myself anymore the loving environment that I now live in, Praise God, acts as a filter, and so I get much better travelers now. The only way I can help others is by telling what I know. I don't think I would feel intimidated by this being. It probably is a shadow person. My personal dealings with shadow people, while frightening, have been nonviolent. I've never felt a melevalent feeling coming from any of them. But that's just my personal experience. It sounds like whatever this thing is, it's protecting you (as I think someone else said). I don't believe what another person wrote about shadow people becoming more agressive or dangerous by interacting with them. That sounds more like demonic behavior. When you first started seeing this being, were you under a heightened level of stress? LovePower - Wikipedia is just that... A source. It isn't a personal experience. In my personal experiences, my shadow people haven't displayed anything you are telling people here. My shadow people have been very benign experiences. Actually, there were no emotions displayed at all. I did not exist to one of these shadow men. The issue I have with what you are doing is this. Until I questioned where you got your information, you passed it off as your own. Whether deliberately or not, I don't know. It would be best to acknowledge that you are getting your information from an internet source, instead of letting the o/p believe it to be personal experiences. No problem, Wikipedia is a great source for the words searches like shadow people. Also I read many testimonials on haunting, other encounters, and spiritualism, enough to have a perspective of the nature and outcomes of these events. The encounter with a shadow person will usually start out with some curiosity on the part of the human. 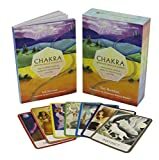 This is a simple and common channeling or "spiritual shinning" event because they are actually trying to get you to participate. The shadow people are the most reported fragment of a much larger phenomenon. That is much more difficult to discuss. Dark shadows are sometimes connected to other more intense experiences. I hope this helps you in your research. This has been a part of humanity from the beginning. Some people consider them departed souls. But this could be an incorrect assumption. When I talk of "shinning" I talk of the practice communing with the spiritual dimension; be it angelic, demonic, or other. Not just speaking, but trying to understand their purpose in the big picture as well as what it means for the "seer" and others. The Celtic wizards use to use their Elvin and Fairy shinning. Mayans, Hindus can shine deities, along with all of the old religions. If you want to learn more of the wizard shining, please look up: "The secret commonwealth of elves, fauns, and fairies" (1600s I think). Only do it in the pursuit of truth after learning how to use a love philosophy. I am sensitive to entities to the point I can spot them at a distance, and I great them all with love and acceptance. I tell them they are free to hang out as long as they do no harm. If they are trying to get my attention, I just say okay now what. On one occasion, they tried to get my attention focused in one direction while two of them tryed to attach to me from another direction. So now, I don't even focus on them. I greet them all with love, because I am no longer self absorbed, I can focus my love outward in all directions. My will is to do good to all and not to mess with any natural harmony. And for any evil entity, that is a hopeless cause. When you are a do gooder, you will attract some really cool and interesting spirits. Some of them are as old as our planet and are heavily involved in the natural order. Some are angels of the human form, who are interested in other do gooders. Some are angels of another form. Some are trans-dimensional and can phase into a physical form. All life forms around us in the spiritual dimension are concerned about what we do, how we act, and where we are going as a people and a planet. This dimension is polarized with positive and negative energy that all life forms produce. If your life is full of evil, or whatever your poison is, your actions and thoughts charge your soul that way. If your life is filled with goodwill, your soul has that energy attached. This life is so important because your actions are permanent and affect everything else, so this is the greatest place for spiritual growth. That is why the spirit world is so full and so manny are interested in us. If you want to learn more about the angelic order, I suggest you read Emanuel Swedenborg's "Heaven and Hell. Many people think of these "silhouettes" as illusions because they don't know whether or not they are truly there. The one in the corner seems to be the "alpha" protector, and he was chasing the other off because he wants only to watch you himself. They aren't always evil, and if he hasn't caused potential harm, chances are, he isn't. You should keep talking to him, after all, he is doing you a favor by keeping evil entities away. And who knows? Maybe one day, he could respond. Excuse me, Kuroneko52. LovePower, a question if you don't mind. Where do you get your information on shadow people? What makes you so certain they are evil and intent on violence, depression, madness and apparently a fateful situation? My questions are serious, so I would appreciate you answering them. These things are usually called shadow people. They are the most reported hallucination according to a recent poll. They are happy to entertain anyone who is curious with their mischievous antics. And will eventually start being more and more violent and scary. The more you "play" or pay attention to them, the more they want. They are really good at making people look crazy; it's all part of the thrill for them. They also tend to isolate people socially, drive them to depression and madness, and try to lead them into a fateful situation. I have to say the only thing that works against an evil entity is the power of love. They can't stand it! Not self-love though, they'll use that stuff against you. It has to be universal (Agape love), like Christ and Buddha. You should commune with the Great Spirit and ask for divine love and protection. Meditate on this often if you can. Try channeling a loving energy, and use it on everyone and everything around you. You must picture it in your mind and practice it often. If you start creating a loving environment, chances are they'll get sick of it and leave you alone. There would be no one they can make miserable so they'll find an easier target. If you react to them or anyone with anger or fear it will only make it worse. In fact, you may attract more of it! © The ghost story The One Who Keeps Me is copyrighted to kuroneko52. Edited by yourghoststories.com.